As part of the Mayor’s Wellness Campaign, the Delran Green Team has partnered with ShopRite to provide wellness programs. 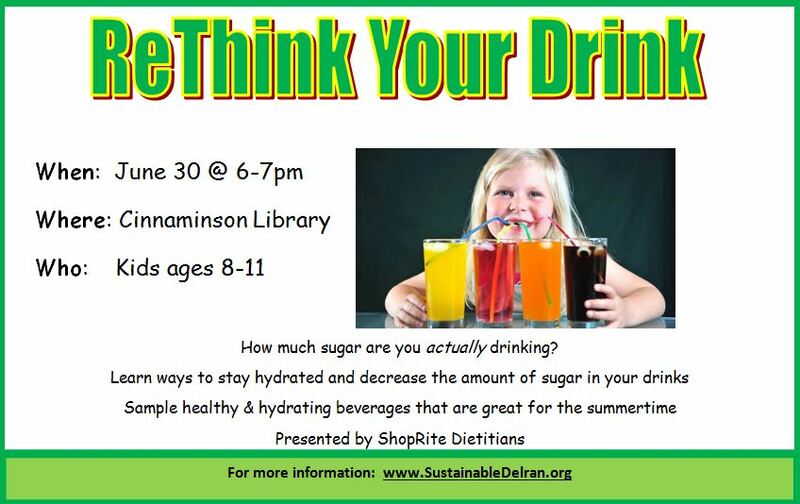 Our first program will be held on June 30 at 6pm at the Cinnaminson Library. This session is designed for kids ages 8-11. Kids will learn about sugar in their drinks and create a healthy alternative. Other sessions are in the works so check back to see what’s coming up.